Since 1998, Central Tech’s Agribusiness Management (ABM) Program has grown from finance and loan management assistance for farmers, to a full-range of services for all agriculture enthusiasts, farmers and ranchers. The ABM program is a client-based program focused on providing customized solutions. Central Tech’s goal is to provide agriculturalists with the resources needed to solve the challenges unique to agricultural operations. Recently Griffin started a beekeeping program. 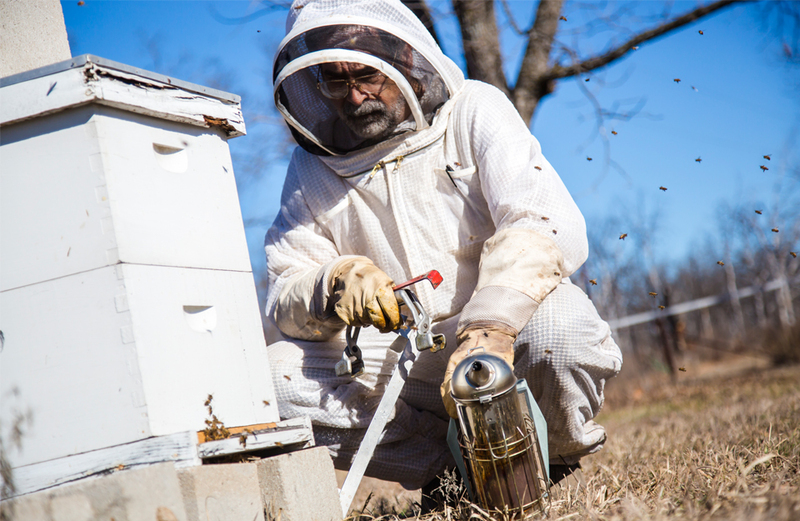 The beginning beekeeping course give students a firm foundation on the skills needed to raise and keep bees. Central Tech serves agriculturalists with one-on-one individualized consultations, scheduled classes, and structured workshops focusing on recordkeeping, livestock, crops, marketing and more. The ABM program strives to be a go-to resource for agriculturalists of all ventures by staying up-to-date with agricultural technology, the Natural Resource Conversation Service (NRCS), and Farm Service Agency (FSA) programs as a result of the Farm Bill. Central Tech partners with various agencies to bring specialized expertise within reach of clients in the district. To learn more about the ABM program, or to inquire about a future class, plan to attend Central Tech’s 45 Open House on February 15, from 1-4pm in Drumright and visit Julie Griffin in the Seminar Center. Ed Lebeau, Central Tech beekeeping adjunct instructor, examines a beehive. Central Tech’s Agribusiness Management program is a client-based program focused on providing customized solutions. Central Tech’s goal is to provide agriculturalists with the resources needed to solve the challenges unique to agricultural operations.